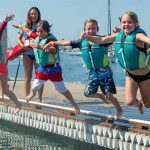 Youth sailing classes offer spring break fun! 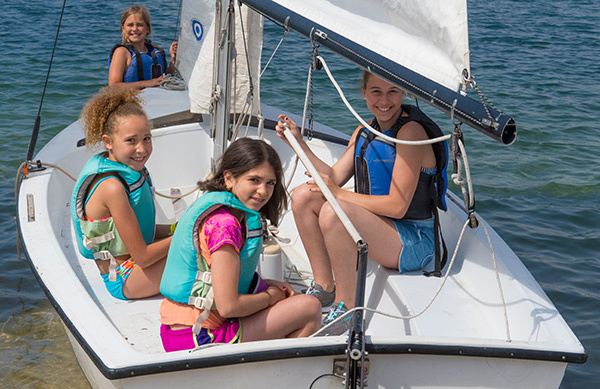 News Home » Youth sailing classes offer spring break fun! Our spring break youth sailing classes are the perfect vacation plans right here in San Diego! Take advantage of our Spring Break Youth Sailing Package and register for both classes for $40 off! Youth Basic Sailing runs Tuesday, March 27 and Wednesday, March 28th from 9am-4pm. In this class students learn the fundamentals of sailing in sabots and will practice tacking and jibing in various courses before heading out to explore the bay. At the completion of Youth Basic Sailing campers are ready to move on to Youth Advanced Sailing running Thursday, March 29th and Friday, March 30th 9am-4pm. In this class students sail the 14-foot Holder as part of a group of two or more sailors. Ages for these activities is 6-17 and no previous sailing experience is required. Each class can be purchased individually or as a package for a $40 savings! Make sure you don’t miss out on your chance to get out on the water this spring break and register today! Already have Spring Break plans and still want to get your kids on the water? 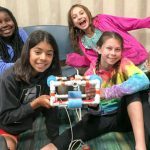 Check out our other Youth and Family Classes.